David Edgington has been interested in engines as far back as he can remember. Although being born within a stone’s throw of Kynoch (Birmingham)—once famous gas engine makers, his family moved to Wiltshire, and it was here he recalls (at the age of about 8) filling the water hopper of an old Lister engine—an obvious portent of things to come in later years. In the 1960s he met someone who had restored a couple of old Lister stationary engines and through this meeting sought to acquire one himself which he did for £2-00p. This simple act was the first of two events destined to change not only his life, but also that of his family and possibly many collectors of old engines, because another engine soon arrived, and another, and so it went on as the nucleus of a collection was formed. While engines were readily available it soon became apparent that literature and information about them was scarce. Furthermore it was impossible to locate other like-minded enthusiasts in order to exchange parts, information or even complete engines. The answer seemed to lie in the production of some kind of magazine, which could draw enthusiasts together while at the same time gather as much information as possible. 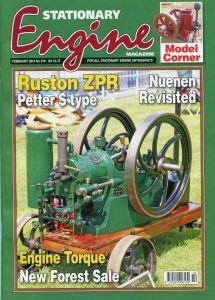 In 1974 David along with his wife Doreen, launched Stationary Engine a magazine especially for stationary engine collectors and enthusiasts. 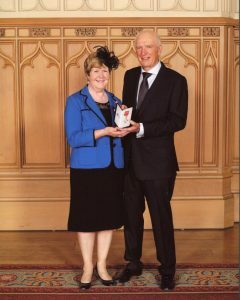 David remained editor until 1990 when he retired in order to devote more time to researching and writing about engines. Since then he has been a regular contributor to Stationary Engine as well as the publisher of various (15 in total) books on Lister, Wolseley and Amanco engines. He is a keen member of Stationary Engine’s World Helpline, handling hundreds of Lister inquiries every year. Regretfully, David passed away after a long illness in May 2016. Doreen will continue to supply his books from this site.